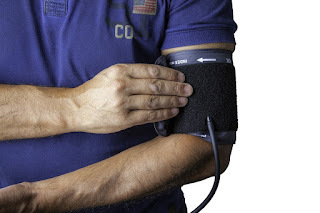 Your blood pressure may not be something you think about too much until it starts to give you health problems, but if it is too high, it can stress your heart and arterial walls, leading to a heart attack or other cardiac condition. We are going to show you a few ways that you can lower your blood pressure and enjoy a healthier heart. The biggest a factor contributing to high blood pressure for the majority of people is obesity. Excess weight makes your heart work harder, and that means it is pumping blood faster, trying to get it where it needs to go. That increased blood pressure isn’t safe for you, and you can reverse these effects by losing the weight safely. Exercise and dieting are the best ways, but some people may need more drastic methods, such as taking medication or undergoing liposuction and other treatments. Your heart won’t have to work as hard and strain to do what you want it to do if you just build it up. Your heart is a muscle, and the more you work it out, the stronger it becomes and the less it takes for it to function properly and get you through the diet. Undertaking a regular exercise routine that’s not too strenuous in you, particularly an aerobic one, will make your heart healthier and reduce your blood pressure. Another key to lowering your blood pressure is to watch what you eat. It’s not enough to avoid some of the unhealthy foods that are chock full of fat, salt and sugar, but you also need to eat foods that are healthy for your heart and your cardiovascular system. That includes foods with HDL cholesterol, high fiber foods and plenty of protein to build up the muscle in your body. Your mental state can affect your blood pressure as well. If you are stressed all the time, your blood pressure will increase to dangerous levels, and you need to do something about it. You can try stretching exercises, soft music, long walks or other stress relieving methods to decompress and take some of the pressure off of your body and mind. The way you feel has a direct effect on how your body functions, and you need to be able to control your emotions if you are going to stay healthy and keep your blood pressure at a reasonable level. There are many different medications that can be used to treat high blood pressure. Some of the most common ones are Chlorothiazide, Furosemide and Indapamide. They all come with different side effects and will be recommended by a doctor in different situations. Bendroflumethiazide is sometimes recommended as well. What makes it unique is that it isn’t known how it lowers blood pressure, but is has been repeatedly shown to work. The drug helps the kidneys eliminate fluid in the body and is primarily used to combat excess fluid buildup. 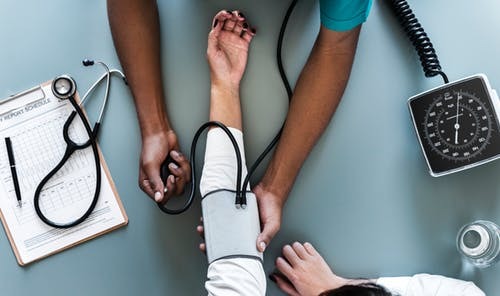 No medication should be taken for high blood pressure without a doctor’s approval, as the you could be unaware of the how the drug will affect you, and a review of your medical history can reveal which drug would work best for you.